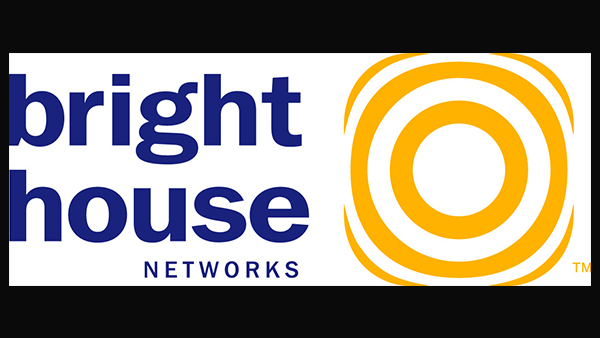 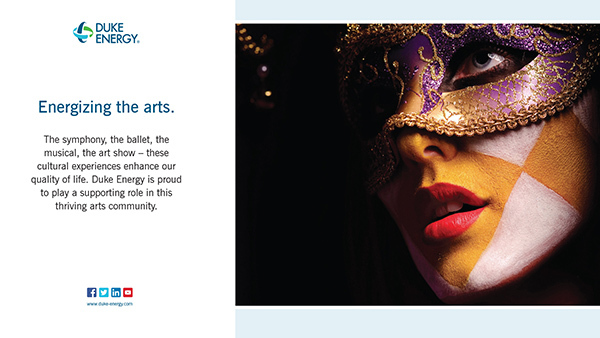 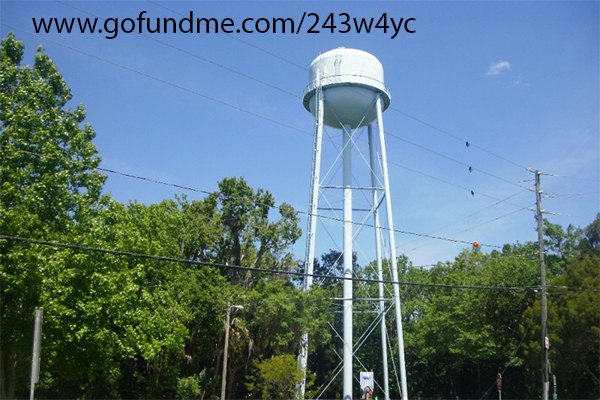 Thank you to all of those who have donated money, time, and energy! 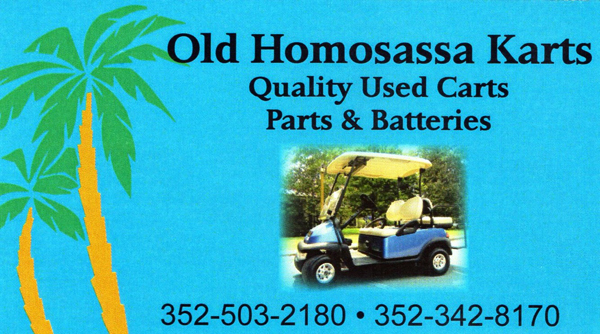 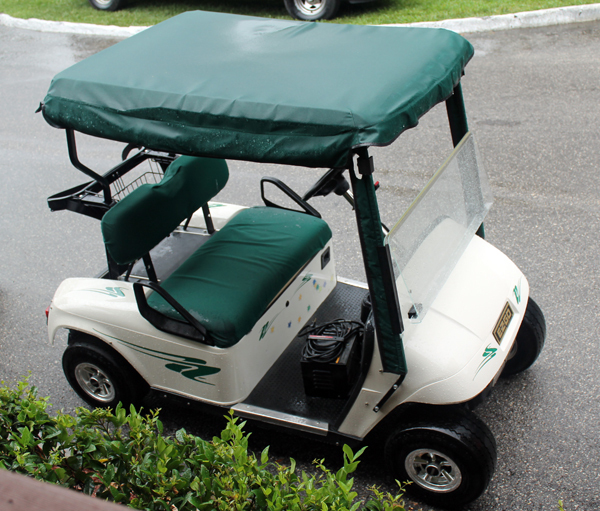 Doug and Kim Bossick, owners of Old Homosassa Karts, for their raffle donation of a golf cart. 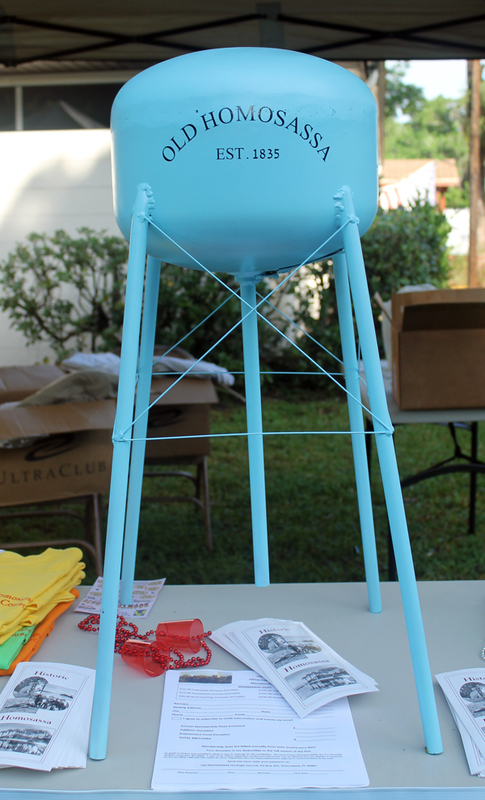 Sal Bottari, the owner of Nature Coast Pawn Shop, for the raffle donation at the Cobia and Big Fish Tournament. 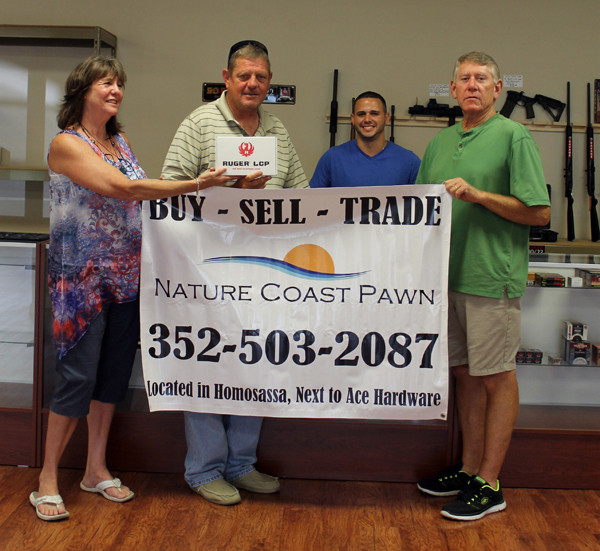 From left, Marian MacRae, co-chairperson of OHHC, Rick Lawhorn, winner, Sal Bottari, owner of Nature Coast Pawn, and Terry Green, member of OHHC. 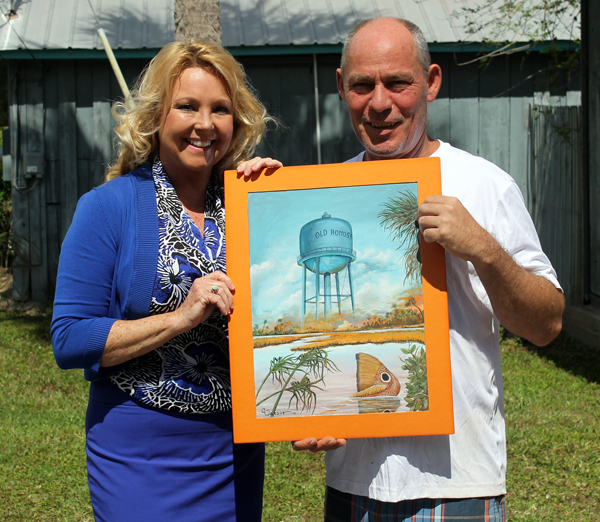 Gil and Wendy Watson at Watsons Art Gallery and Studio for the original art work on the Old Homosassa Heritage Council shirts and selling them in their gallery. 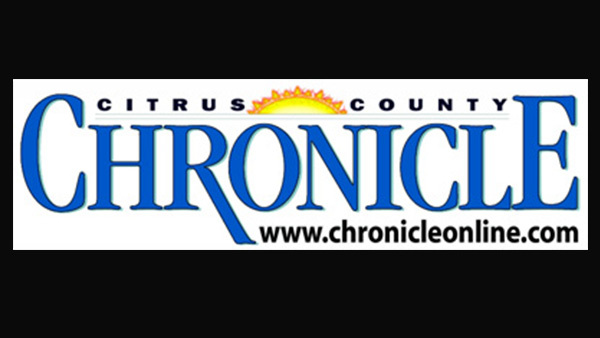 DeeDee Pierce Wilcox, co-chair of OHHC, and Gil Watson, local artist and gallery owner. 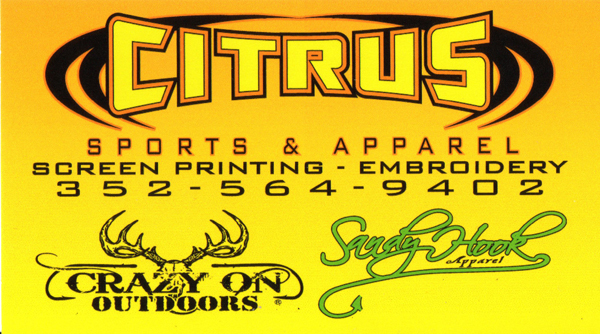 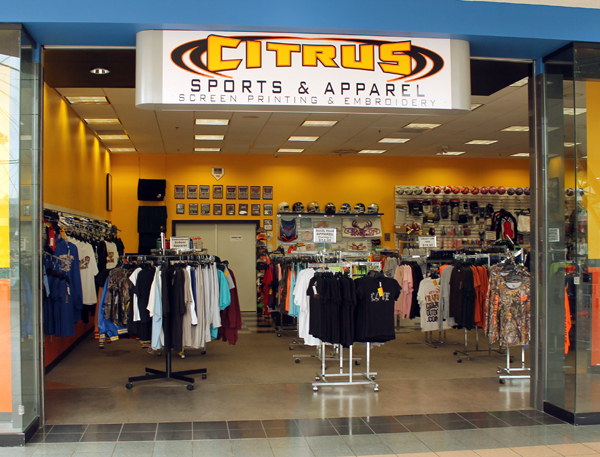 Will Wilson with Citrus Sports and Apparel for creating our t-shirts. 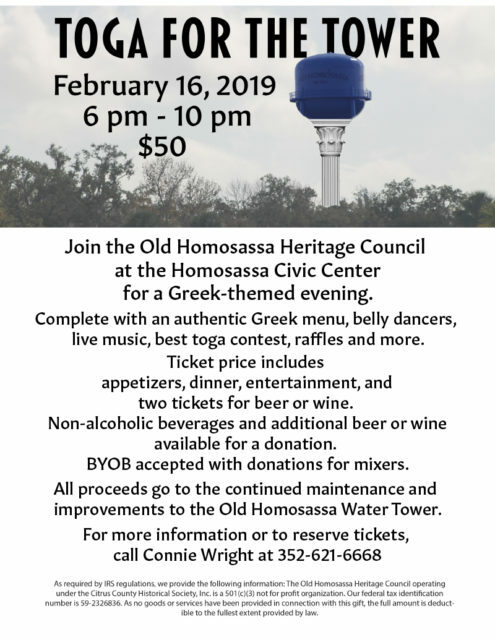 Lee’s Welding for the miniature Old Homosassa Water Tower used for fund raising. 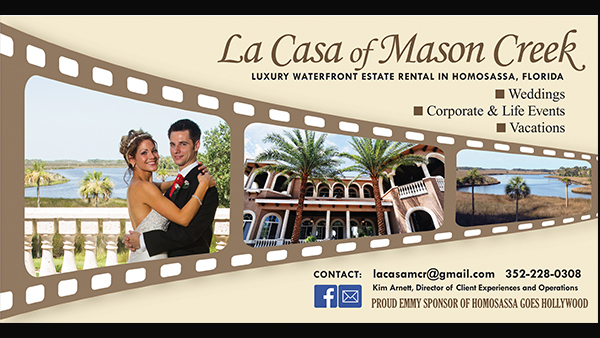 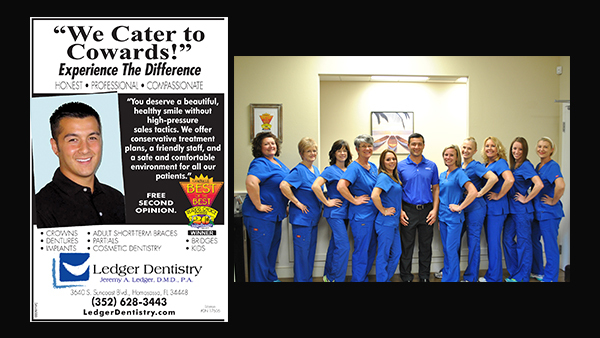 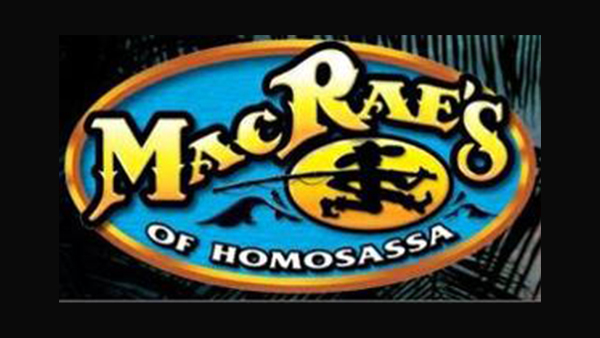 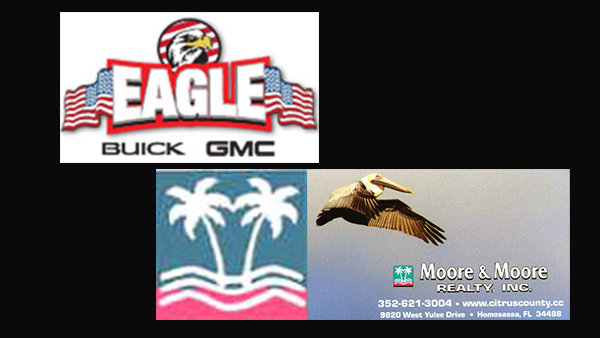 MacRae’s of Homosassa for donating the Gator Den for our meetings and workshops.